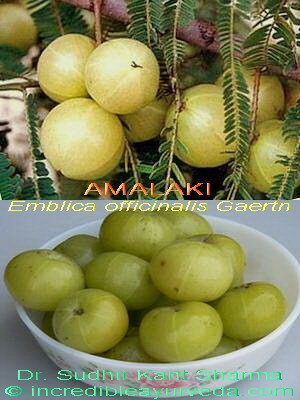 Amla,Amalaki, Dhatri,Emblic Myrobalan,Emblica officinalis Gaertn. Medicinal Properties:Amla is a popular ingredient of Ayurvedic formulations. 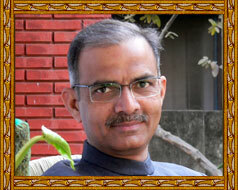 In Ayurveda Amalaki is considered as Rasayana which means herb with anti aging or rejuvenating properties. Researches on Amla validate almost all of its highly praised properties. It is a potent antioxidant, immunomodulatory, antistress agent. It is also used in traditional hair and skin care formulations. Its cytoprotective activity has been investigated in detail through recent studies. The fruit juice has nearly 20 times as much vitamin C as orange juice. Every 100 gm fresh Amalaki fruit provides 470-680 mg of Vitamin C. Apart from this Amla fruit contains fiber, protein, fat, minerals, carbohydrate, calcium, Phosphorous, iron, carotene, thiamine, riboflavin and vitamin C. In Ayurveda it is used in formulations for degenerative or deficiency disorders.